Take a few moments to focus on the hope we have because of Easter in Jesus Calling® for Easter, a beautiful compilation that includes 50 Jesus Calling devotions and Scripture, alongside breathtaking imagery and design. ** Jesus Calling® *for Easter *is a meaningful and beautiful compilation of devotions from Sarah Young's bestselling brand. With 50 themed selections for the Lent and Easter season, as well as high design and exquisite imagery, Jesus Calling® *for Easter *makes a stunning addition for those who love Jesus Calling® and would like a new way to observe the Easter season. You’ll enjoy devotions with select Scriptures about the story of Easter and the hope it brings alongside lovely images with overlaid script. Whether a self-purchase to enhance your observation of Easter and the death and resurrection of Christ or a gift for friends and loved ones, Jesus Calling® *for Easter *will be a central part of your Easter experience for years to come. 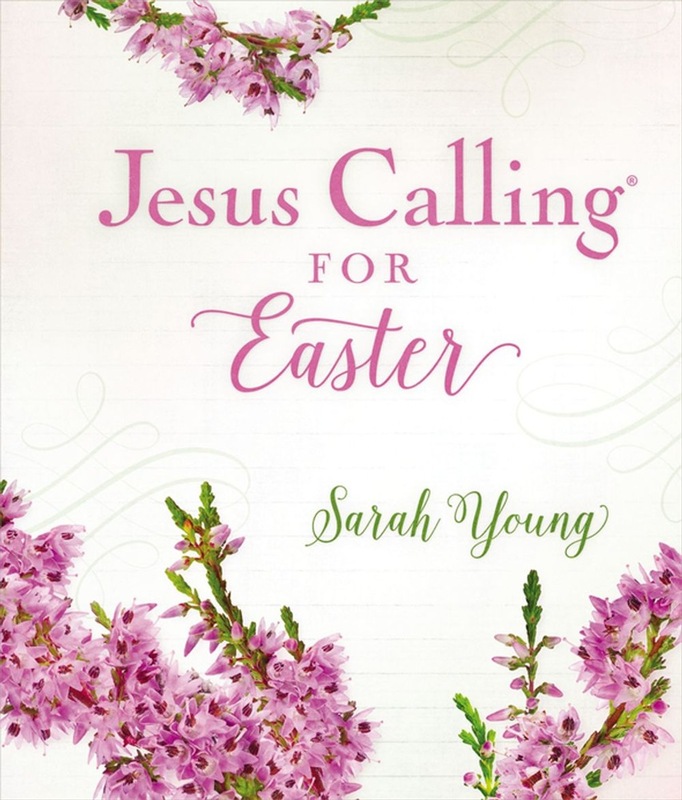 Acquista Jesus Calling for Easter in Epub: dopo aver letto l’ebook Jesus Calling for Easter di Sarah Young ti invitiamo a lasciarci una Recensione qui sotto: sarà utile agli utenti che non abbiano ancora letto questo libro e che vogliano avere delle opinioni altrui. L’opinione su di un libro è molto soggettiva e per questo leggere eventuali recensioni negative non ci dovrà frenare dall’acquisto, anzi dovrà spingerci ad acquistare il libro in fretta per poter dire la nostra ed eventualmente smentire quanto commentato da altri, contribuendo ad arricchire più possibile i commenti e dare sempre più spunti di confronto al pubblico online.